Pod en Stock perdu 83.1 – The pains of being pure at heart – septembre 2009 | Pod en Stock! 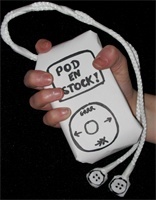 i would love to hear pod en stock again! but spotify doesn’t work over here in germany. is there any way to the good old mp3-version?? ?